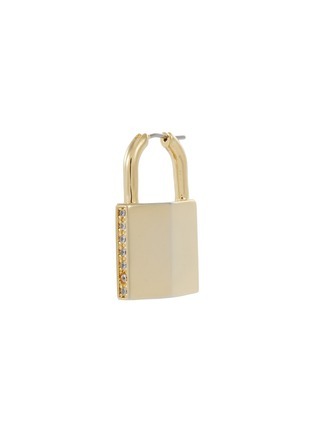 Keep your eavesdropped secrets under Padlock and key with this single earring by Bittersweet. Strung through the ear with an arching shackle, this 18k gold-plated accessory is rimmed with shimmering cubic zirconia along the edges. For a mismatched edit, pair this with the single Key earring.